Tonight I had the pleasure of presenting remotely to the Triangle SQL Server Users Group. I presented my session entitled “Squeezing Top Performance from Your Virtualized SQL Server” to a great crowd of eager professionals. Your questions were outstanding and I really appreciate your feedback from the session. Thank you!! 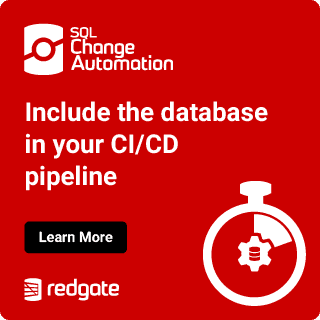 Abstract: Just about anyone can click through a SQL Server installation and get it working, but more than a little tuning is required to get the most performance out of your servers. Once virtualized, additional tuning can help get even more performance out of that virtual machine. We will discuss valuable details for both VMware vSphere and Microsoft Hyper-V on how to tweak and tune your virtual infrastructure for business-critical virtualized SQL Servers. Tips on configuring your SQL Server installations for maximum performance when virtualized will be covered. We will also present tips on monitoring and capacity management so you know when you need to add more hardware to keep your database servers running at their peak performance. The slides for tonight’s presentation are available to download here, and the DVDstore are downloadable here. I look forward to presenting to you all again, and hopefully I’ll see you at your next SQL Saturday!